MENBO is a Regional Network within INBO (International Network of Basin Organisations) that promotes an integrated water resources management at the river basin level, as an essential tool for sustainable development. This organisation seeks to improve relationships among organisations in charge of water management in the Mediterranean region. This website includes information, events and documents from other organisations and agencies related to water management, and promotes the exchange of knowledge among these. Most of the events announced, are thus from other sources, and include links to their websites. 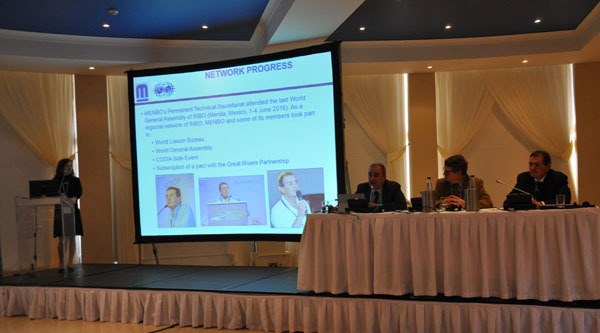 The Regional Network was established in 2003, and is currently adding international members from the Mediterranean region. We hope this network will grow stronger with the support and collaboration from most of the Mediterranean countries that deal with river basin management. Download here MENBO's flyer in ENGLISH, FRANÇAIS and ESPAÑOL. 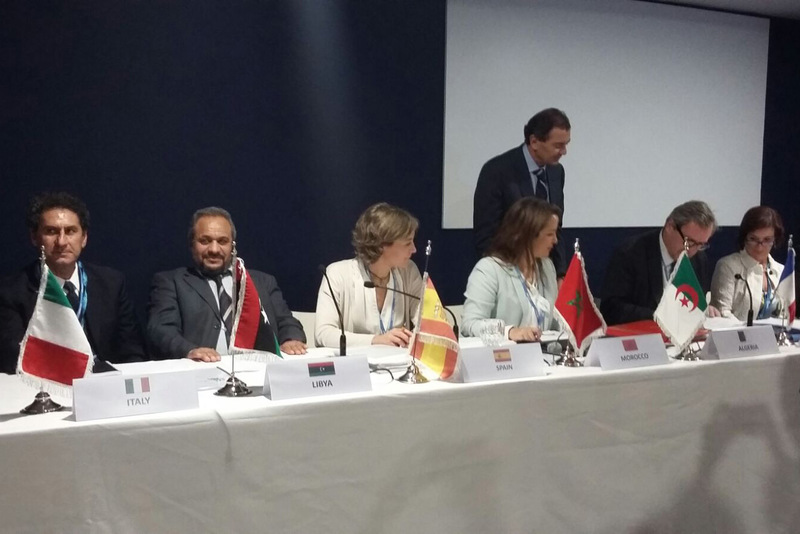 Algeria and Spain have decided to jointly promote a process, in association with the countries of the 5+5 Dialogue, to develop a water strategy for the western Mediterranean basin (WSWM). 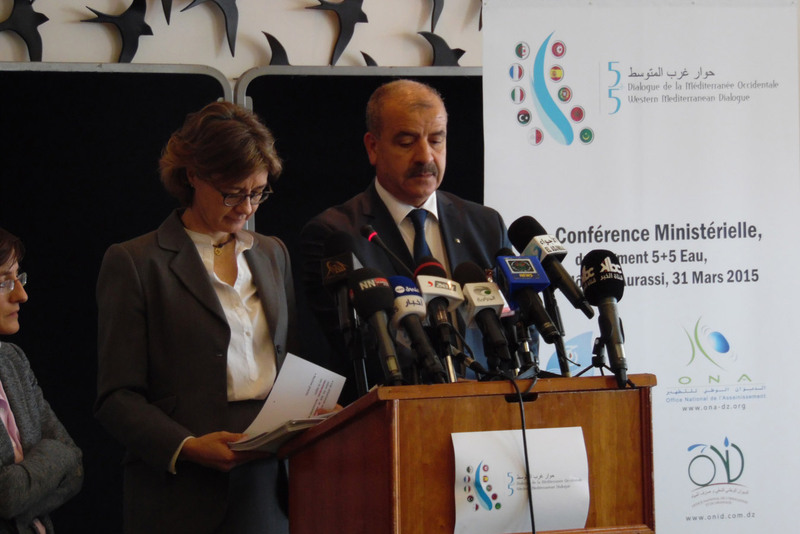 The aim of this strategy is to promote sustainable water use at local, regional and national levels, through the adoption of cross-cutting goals, management criteria and operational objectives, in order to harmonise water policies in the Mediterranean. 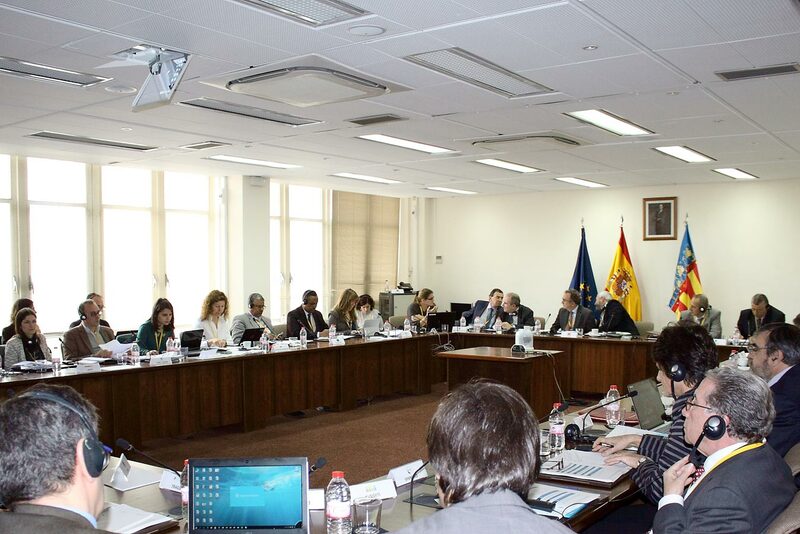 Spain and Algeria are actively involved in the peaceful resolution of international conflicts and hope this strategy may constitute a tool of preventive diplomacy, contributing to maintaining international peace and security by facilitating international cooperation on water issues. 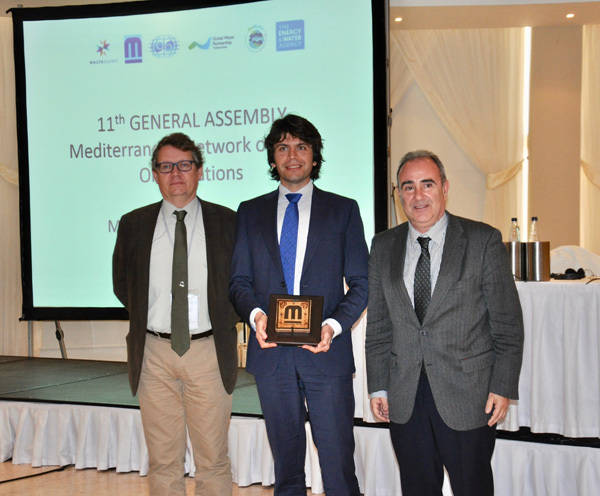 In this context, a first high-level Workshop was held in Valencia (Spain) under the auspices of the General Secretariat of the Mediterranean Network of Basin Organisations (MENBO) on 25th-26th February 2014. 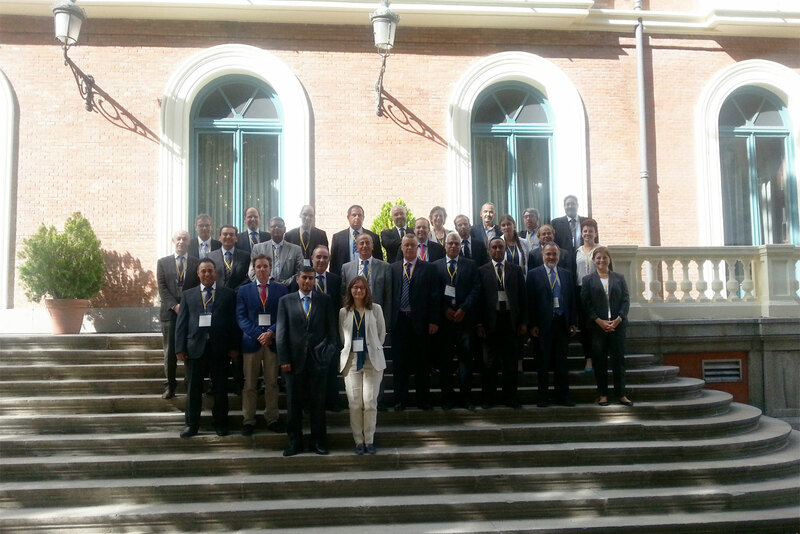 The second Workshop of the Water Experts Group within the 5+5 Dialogue towards a Water Strategy for the Western Mediterranean, jointly promoted by Algeria and Spain, was held in Oran, Algeria, on 26th June 2014. 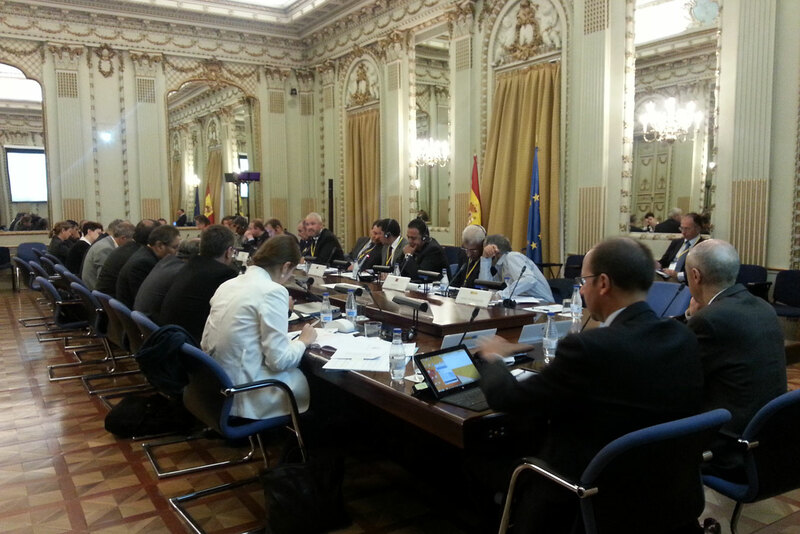 The third Workshop of the 5+5 Initiative to elaborate a Water Strategy for the Western Mediterranean, lead by Algeria and Spain, was held back to back with the 15th Steering Committee Meeting of the Euro-Mediterranean Water Information System (EMWIS) and the Steering Committee Meeting of the Mediterranean Knowledge Platform. 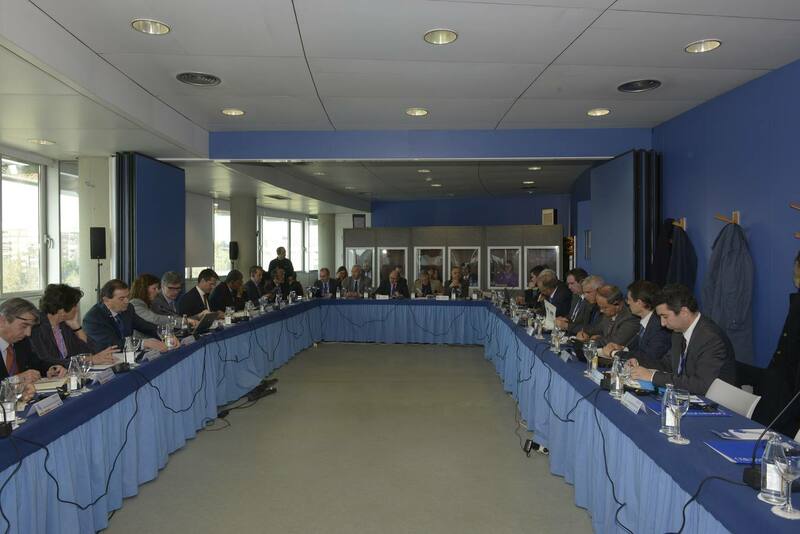 On the occasion of these events, the Steering Committee Meeting of the Mediterranean Water Forum and the Mediterranean Preparatory Process for the 7th World Water Forum were celebrated. 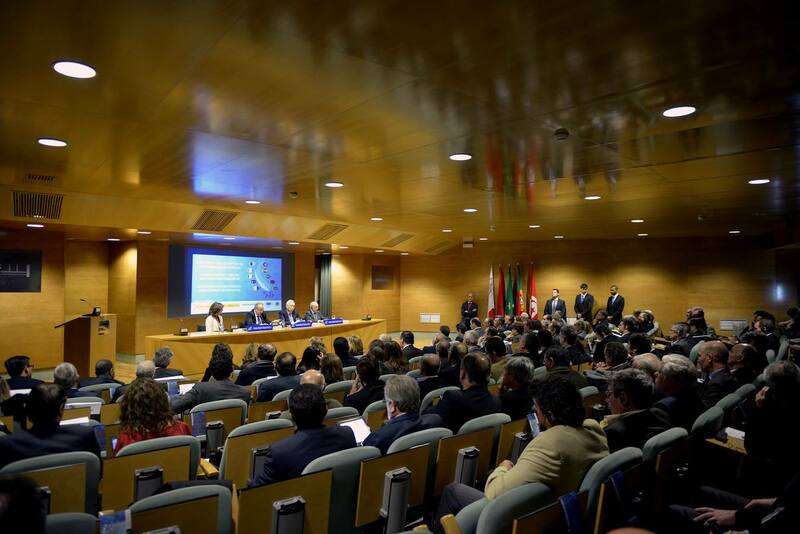 The events took place in the premises of the Júcar River Basin Authority, Valencia on the 9th and 10th of September 2014. 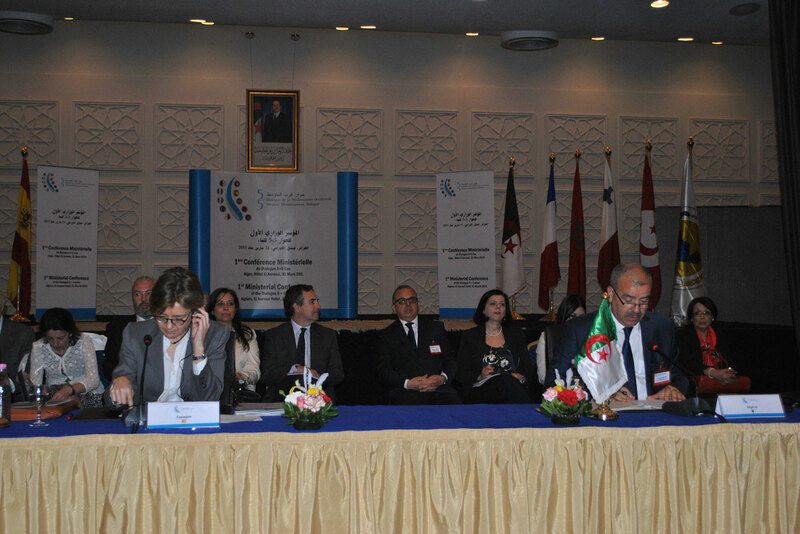 Earlier this year, on March 31st, a Ministerial Conference was held in Algiers (Algeria) for the official adoption of the Water Strategy in the Western Mediterranean Please click on the documents names to download the WATER STRATEGY FOR THE WESTERN MEDITERRANEAN and the ALGIERS MINISTERIAL DECLARATION. 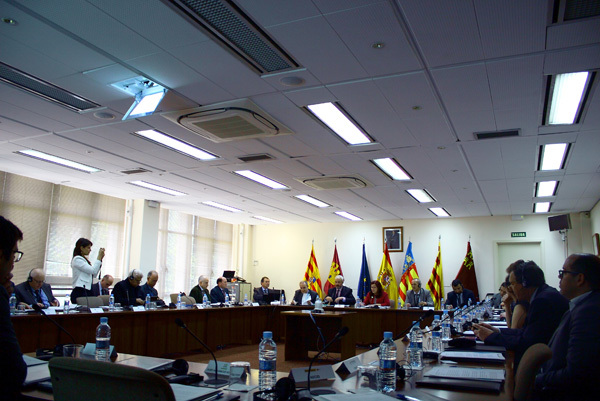 Following the approval of the Strategy we organised a working meeting (Workshop 4) that took place in Madrid (Spain) on the 10th of September 2015. The purpose of this meeting was to present the information compiled so far in regards to the Action Plan and to move forward towards finalising it. The meeting was a great success and general agreement was achieved in regards to the contents and methodology for the Action Plan. 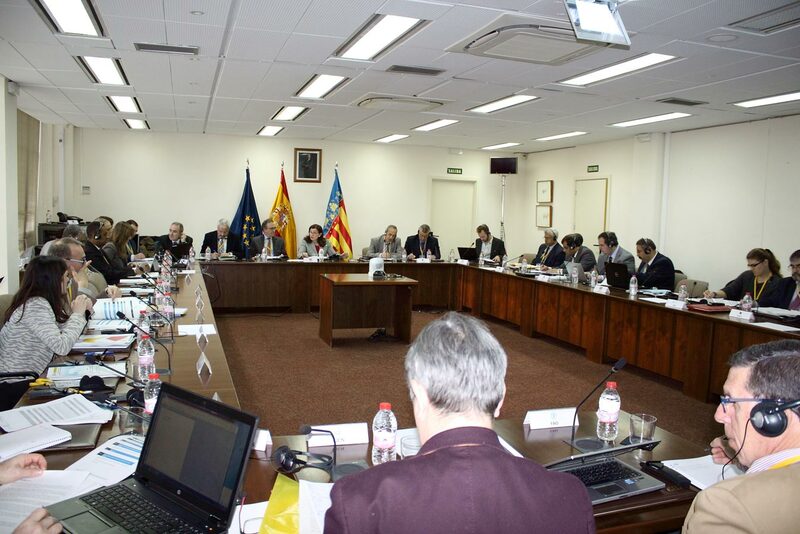 On 24th and 25th February 2016, the 5th Workshop took place in Valencia, Spain, in the headquarters of the Júcar River Basin Authority. The meeting was devoted to discussing the state of play of the Action Plan, to the presentation of the projects proposed so far by the different members and to the dissemination strategy of the Action Plan. A thematic technical session related to the sustainability of dams in the Western Mediterranean was also organized on this occasion. The Action Plan was well received by the members and a calendar was agreed towards its endorsement at Ministerial level. 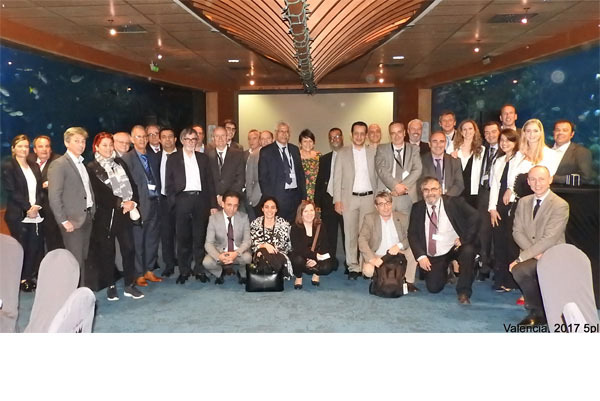 The 6th Workshop took place in Marseille on 23-24 June. The main objective of the meeting was the approval of the final version of the Action Plan, so that it can be adopted by the Ministers in Marrakech, on the occasion of the COP 22 meeting to be held on 7-18 November 2016. Moreover, a new updated Roadmap was presented together with an updated dissemination plan for the Strategy’s visibility and implementation. Finally, the Workshop included a technical thematic session regarding climate change in the Western Mediterranean in which several members made presentations about specific issues and proposals linked to their respective countries. 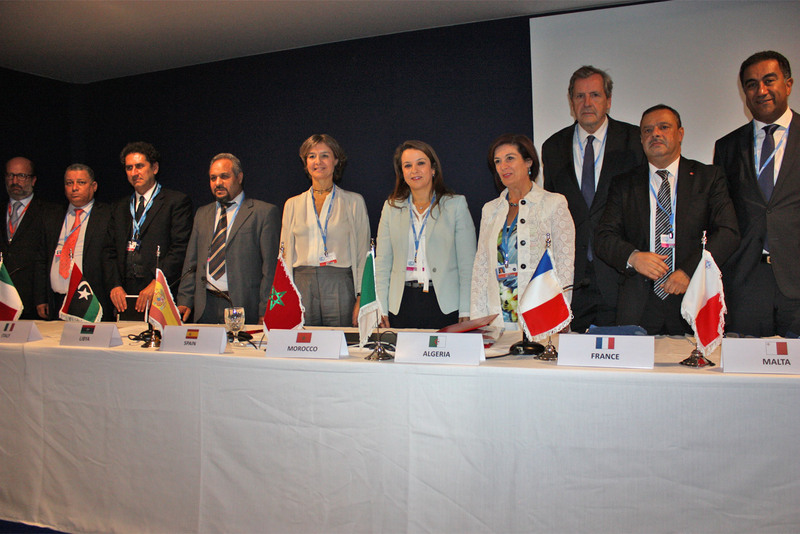 Following the celebration of the 6th Technical Workshop of the Water Strategy in the Western Mediterranean (Marseille 23-24 June 2016), a Ministerial Event was organised in Marrakech (Morocco) on the 16th of November 2016, on the occasion of the COP22. During this important event, the 5+5 Ministers officially endorsed the Action Plan and Rules of Procedure of the Strategy. 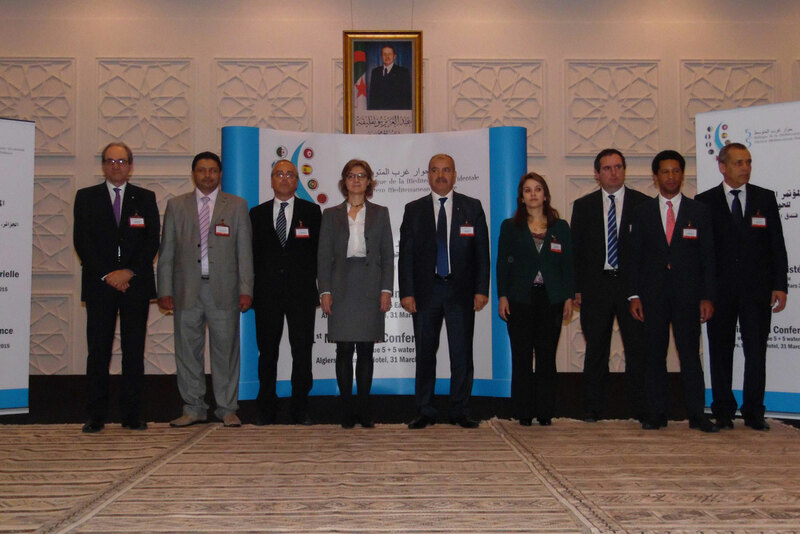 Please click on the document names to download the ENDORSED ACTION PLAN, ENDORSED RULES OF PROCEDURE and DECLARATION OF MARRAKECH. It was also at this event that, as per the approved “Rules of Procedure”, the Spanish Minister for Agriculture and Fisheries, Food and Environment announced that Spain will hold the Presidency of the Ministerial Group on Water of the 5+5 Dialogue from the 1st of January 2017. The Presidency shall run for a period of two years on a rotating basis. 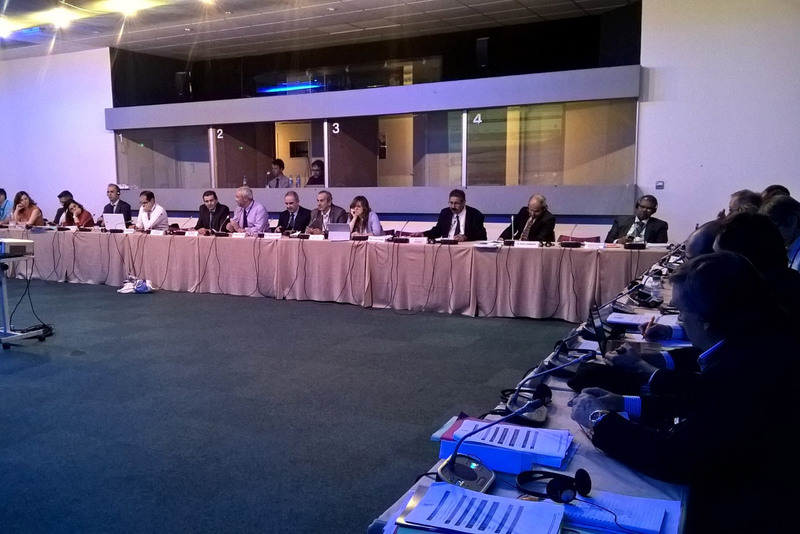 In accordance with the Rules of Procedure adopted in Marrakech, the Technical Working Group (WG), created by the Ministerial Group on Water (MGW) of the 5+5 Dialogue, gathered in Valencia (Spain) on the 30-31 March 2017 on the occasion of the Technical Working Group meeting (WG7) with the aim of promoting and supervising the implementation of the Action Plan, and discussing a work plan for 2017 and 2018 to be submitted to the MGW. Please find the AGENDA and MINUTES. Please click HERE to see other working documents. 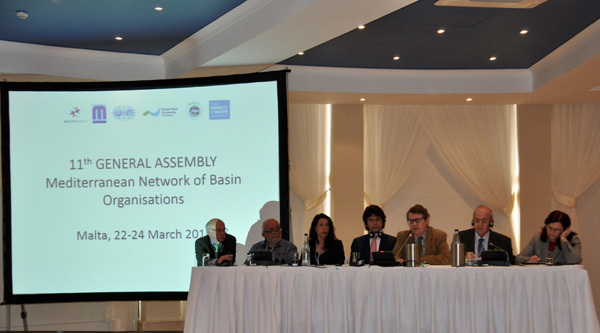 The 11th General Assembly of MENBO was held in Malta from the 22nd to the 24th of March 2017. The event gathered over 50 delegates coming from 10 Mediterranean countries, representatives of governmental administrations in charge of water management, of basin organisations, of interested bi and multilateral cooperation agencies, donors, water users, as well as numerous observer organisations, and took place at the invitation of the Maltese government, with the sponsorship of the EU FP7 Be-Water Project and the collaboration of Global Water Partnership-Mediterranean (GWP-Med) and the International Network of Basin Organisations (INBO). Please click HERE to see the agenda. Water and Climate change Adaptation at River Basin Level. Please click HERE to see the Roundtable 1 presentations. 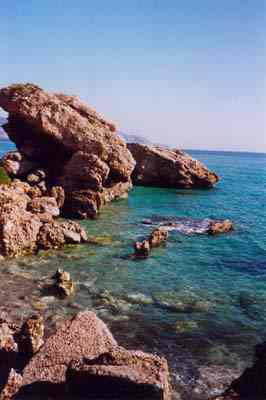 Water and agriculture in the Mediterranean. Please click HERE to see the Roundtable 2 presentations. Non-conventional water resources: Water Reuse and Desalination. Please click HERE to see the Roundtable 3 presentations. 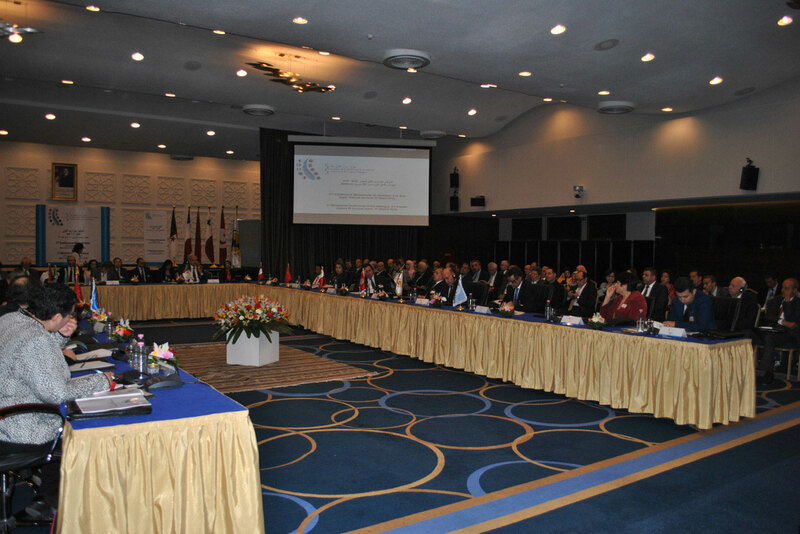 There was also a special session focused on international initiatives and activities. Please click HERE to see the International Initiatives Session presentations. 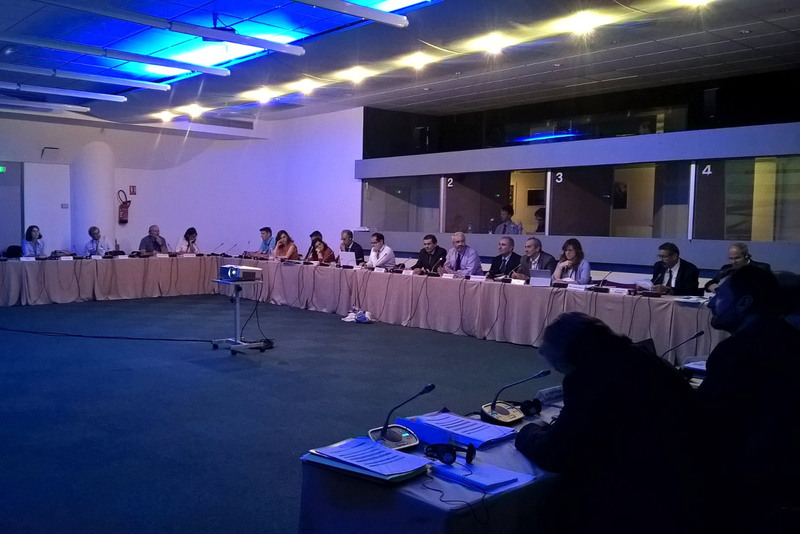 During this 11th General Assembly of MENBO, the Presidency of the network was transferred from Portugal (2011) to Malta (2017), who will hold this position for the next two years. Mr. Daniel Azzopardi was appointed new MENBO President. Please click HERE to see the Declaration of Malta. Mr. Teodoro Estrela Monreal, Head of the Hydrological Planning Office of the Júcar River Basin Authority (CHJ) in Valenica (Spain), was appointed new Permanent Technical Secretary of MENBO by Ms. María Ángeles Ureña, President of the CHJ. CHJ hosts the head office of the MENBO Secretariat since the creation of the network in the year 2002. Following the statutes of the network the position of the Secretary of MENBO is represented by the associated organisation where the MENBO secretariat is located: the CHJ (Articles 18 and 15). The former Permanent Technical Secretary of MENBO, Mr. Javier Ferrer Polo, has left this position and was appointed new Water Commissary of the Júcar River Basin Authority. MENBO members and secretariat thank him for his successful work in the last years and we are looking forward to further collaborate with him in the future. 12th Meeting of the Water Governance Initiative of the OECD, 20th -21st June 2019, Berlin, Germany. Conference on Water Governance in MENA and wider Mediterranean region - Barcelona (Spain), 12-14 December 2017.